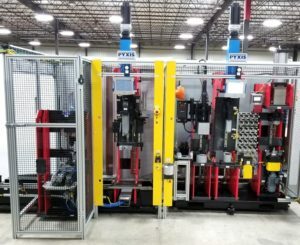 At Pyxis, we help our customers maintain a competitive edge by anticipating future product family growth and building flexibility, model complexity, and interchangeable tooling into our designs. 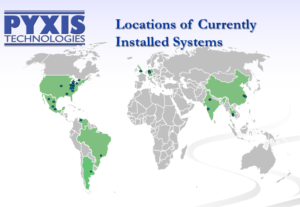 Pyxis is recognized around the world for our gauging expertise. A recent addition to our line of specialty machines is the Trans Axle Shim Gauges for Backlash & Diff Case Preload Assembly Cell pictured below. We strive to establish lasting relationships with our customers. Pyxis has received three recognitions for achievement and growth, along with moving to increasingly larger facilities, while more than doubling our workforce. The Pyxis team has many years of knowledge and experience under their belts. We pride ourselves on being a lean, nimble company that can adapt quickly to change. We offer a full spectrum of services including design and engineering, manufacturing and assembly, program, test, installation, ancillary equipment integration, field service, technical support, and training. 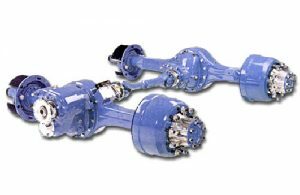 In 2017 we designed, built, and installed four complete axle assembly lines, along with other projects. 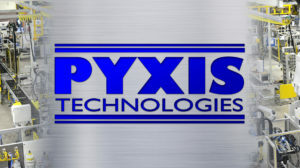 Pyxis Technologies LLC © 2018. All Rights Reserved.